Gnugo (Giacomo in his official identity card, because Gnugo was a Sinti name) was the grandson of Giovanni (Jean) De Barre, a French Sinto; and Ida Truzzi, a circus artist from an Old Italian circus family. His father’s name was Armando De Bar (called Ciao), who worked as an acrobat; the mother was Albertina Innocenti (called Gonia), who came from a fairground family. In the 1920s, the grandparents performed mainly acrobatic numbers in the legendary circuses of Teta Togni and Paolo Orfei. In the thirties, Jean De Bar (the French family name became Italianized) traveled through northern Italy with his own circus show in which all of his 10 children participated. A few months after Italy’s entry into the war (10 June 1940) the traveling circus life of the De Bar family ended. The Italian security authorities used the entry into the war to order the internment of all people considered dangerous for the State security (antifascists, foreigners of enemy countries and “gypsies” without a fixed abode). Italian Sinti were particularly affected by this measure, who often tried to earn their living as ambulatory handicraft workers, but also as street musicians or artists. The detention of the circus family De Bar took place on 11 November 1940. 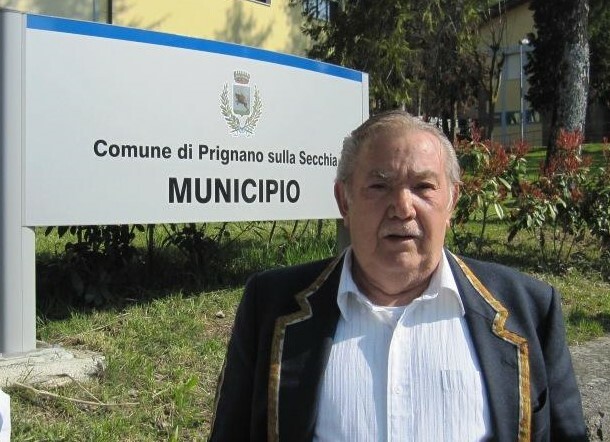 In the internment site Prignano della Secchia Gnugo was born on 4 of December 1940. So far, research has been able to identify 20 internment sites and 3 internment camps for so-called “Gypsies” for the Italian peninsula. In the internment site of Prignano della Secchia were between 1940 and 1943 about 80 people interned. The camp conditions were harsh. Inmates were not provided with sufficient food. In the colder months, wood was lacking to warm up. Some internees were allowed by the authorities to perform for the villagers to get some food. In September 1943, the De Bar family took advantage of the power vacuum created by the collapse of the fascist regime in Rome and the ceasefire between the new Italian government and the Allies (8 September 1943) to leave the internment site of Prignano della Secchia. In order not to fall into the hands of German security agencies and their Italian helpers, the family had to remain hidden until 1945. Two male members of the family joined the resistance and carried out sabotage operations between 1944 and 1945 in the Lombard province of Mantua, which was still under the control of the Wehrmacht and Italian-fascist auxiliary troops. In the summer of 1945, the De Bar family began again to travel with their circus show through the Italian countryside. In the clown show Gnugo played the role of the stupid August. The family stopped travelling with its circus show in 1964. After that Gnugo bought a carrousel and earned his living as a show man. He also wrote down his family’s history in the book “Strada, patria sinta” [The Street of the Sinti], published in 1998.